The great Yankee catcher Yogi Berra is attributed to have said, “It was déjà vu all over again.” As it was for our Camp Takajo Okees. But this time, the prank was on them. 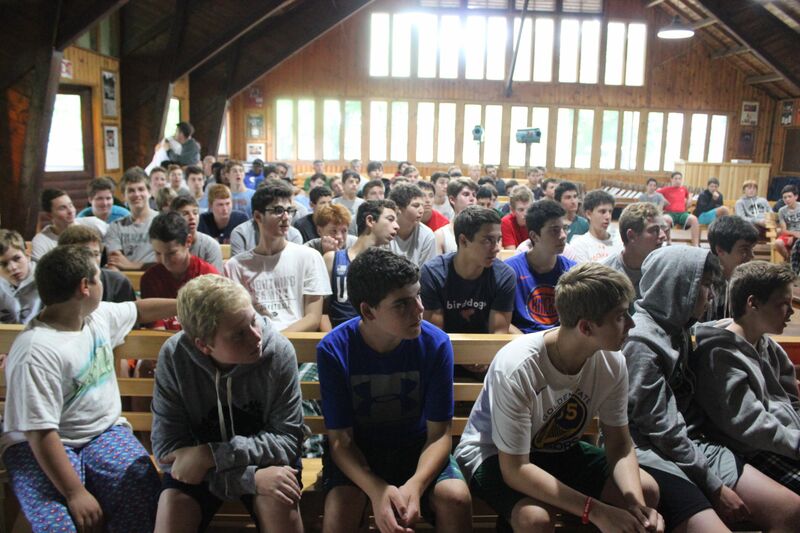 Taking a page out of their playbook, Senior Group Leader Paddy Mohan arranged to take eight canoes and place them up in the ceiling of our dining hall in the early hours of the morning while the campers were still asleep. When reveille sounded, Paddy went over to the senior quad and rustled our oldest campers out of bed, accusing them of once again pulling a prank on the camp. Our boys were startled and suggested to Paddy that they had nothing to do with the situation. Nevertheless, they were considered guilty by association and asked to grab rakes to clean up the beach and waterfront area. The boys began looking at each other, wondering if it was one of the other bunks that had done the plotting. There were whispers and many disgruntled campers who were shocked to be accused of this inappropriate prank. 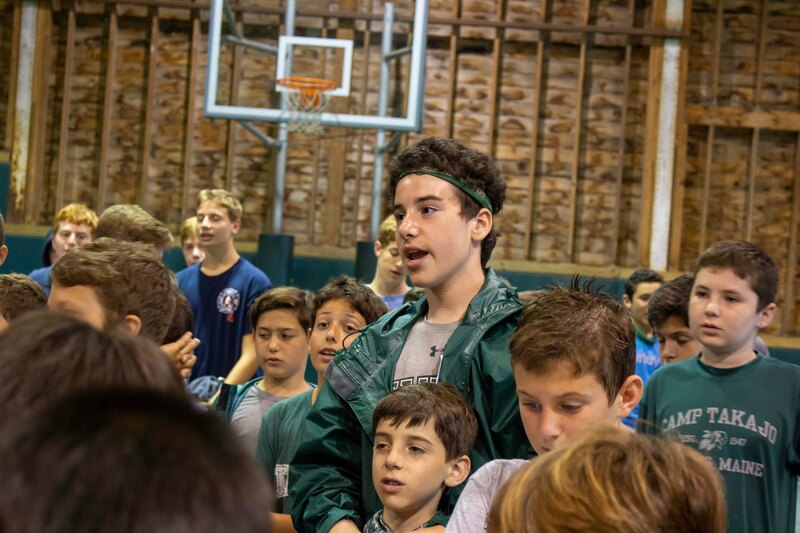 As the entire Senior camp assembled by the steps of the dining hall to witness the canoes being removed from the ceiling, the sound of the Olympic bugle call echoed across the campus, and our oldest boys knew it was time to begin their Olympics. There were intermittent showers throughout the morning, which allowed our teams to spend time on organizing for track meets, swim meets, and other group events. With bright sunshine and warm temperatures in the forecast, we want our boys to soak up every minute of our Olympic competition and wanted to take the day to let the showers pass before commencing with this end of the summer tradition. We spent the remainder of our day playing sports in the field houses, finishing bunk plaques, and settling in for a movie. It’s difficult to believe that tomorrow is our last Lazy Man’s Morning, when our boys come together for a casual breakfast, eating their favorite Dunkin’ Donuts. Our boys are happy but chomping at the bit to lace up their sneakers and start their Olympic competition.